KNOW THE BYLAWS SPECIFIC TO YOUR HOA: This is something you should not trust the internet to tell you. If you are living in a community with an HOA, you have signed (probably multiple) documents agreeing to the restrictions and rules enforced by an HOA committee. Get your hands on the actual regulations and read them! Yes, it will be a bit monotonous but it’s necessary; this is where you will learn what you have already agreed to and what permissions you can request. For example, signage may be allowed if it is placed within six feet of your front door. Or you may find out that drilling into a brick wall to install video surveillance equipment is allowed only if the action is performed by a professional installation company like those easily found on Alarm.org. Understanding the bylaws of your HOA will give you a starting point to begin securing your property. ASSESS THE CURRENT SECURITY EFFORTS: Did you know environmental design is a tried and true method of crime prevention? Open areas such as a cul-de-sac or front-and-center dog walk area create natural surveillance due to the active human presence. 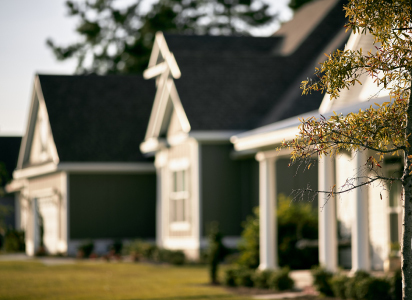 These locations receive more traffic than secluded streets or back lots so HOA’s may choose to focus their security efforts on areas that produce hiding spots and cover for criminals. Does your community already have neighborhood video surveillance? Determine if your property is fully covered and what you would need to do to fill the gaps in home protection. We recommend contacting a qualified member of the Electronic Security Association (ESA). You can find an ESA member in your area by visiting Alarm.org and entering your zip code. Work with an ESA member to determine if you have any threats, vulnerabilities, or criminal risk to your property. If you are on a corner lot next to a heavily traveled road or your yard backs up to a creek, you will have different security needs than a centrally located house with limited accessibility. A security survey can be a helpful method for determining exactly what security measures are already in place and what needs to be done to meet your standards of property protection and the risk you are willing to assume. Don’t forget to note the age of any current security systems. Technology in the electronic security industry is changing constantly; additional functionality and the value of an updated system is worth the cost. DETERMINE THE RIGHT SECURITY MEASURES: Not every security option is ideal for every situation and you certainly don’t want to duplicate anything you are already paying for in your HOA dues. If the HOA maintains lamp posts linked to motion sensors, installing your own may be unnecessary. The right security methods can give you control over your environment and even increase property value. The key to finding the right security specifically for you and your property lies in the professional help you seek. An ESA member company specializing in residential properties has the knowledge and expertise in evaluating your needs and navigating building codes, and HOA limitations. Their access to technology that fits your needs is a resource you can bring to initiate an HOA approval process.